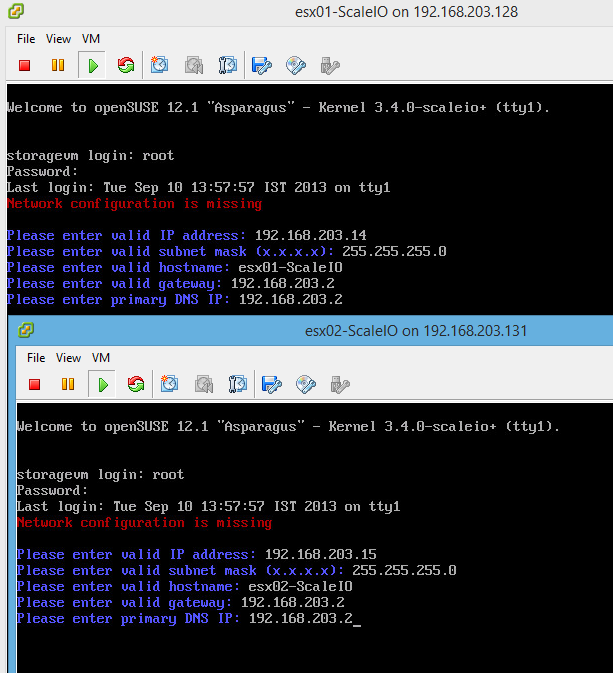 EMC ScaleIO is awesome, here’s how you can run a full functional demo environment on your home pc / laptop. im using 16GB of RAM in my laptop and I have a 512gb SSD drive, all the network in this configuration is done in my case using NAT but feel free to use physical IP addresses if your environment allows it.. I also created an additional 2 “drives” per ESX server, one of 10GB and one of 5GB, the first one will be used for deploying the ScaelIO appliance into + the spare capacity for the actual storage and another 5gb for storage that will also be used for ScaleIO. 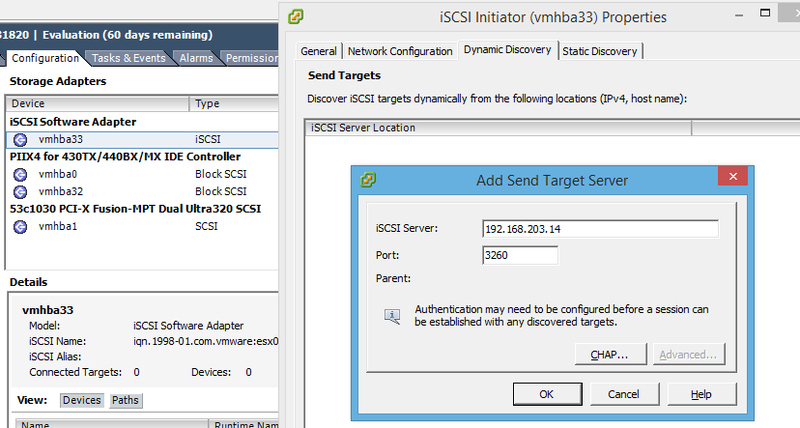 I selected thin disk format since disk space is precious on my home SSD drive..
after you are done with the iSCSI port groups, it is time to bind them which is all done via the GUI as shown below..easy. 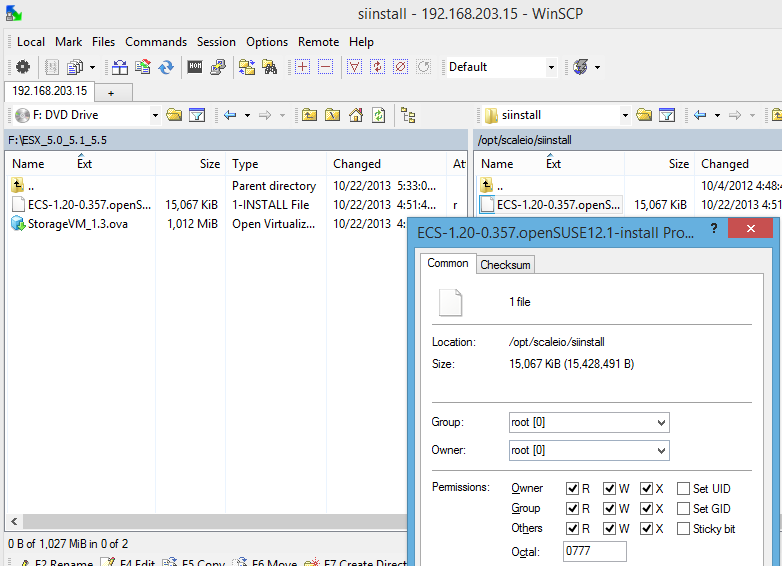 again, we need to repeat these steps on the other ESX servers as well. • Run ./<package name> as executable. 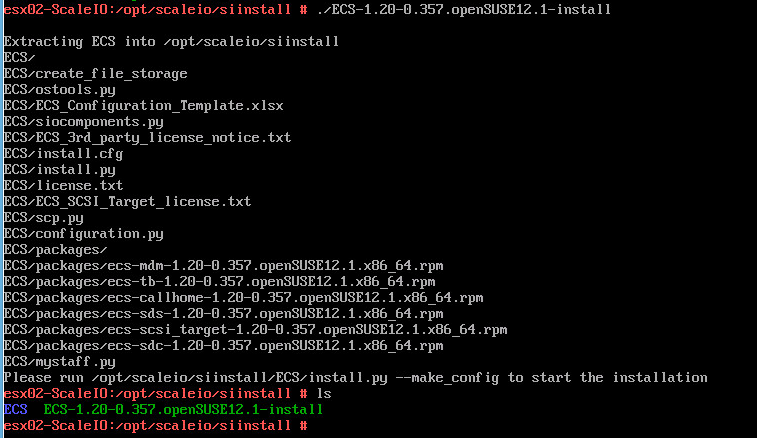 you need to repeat these steps on all the ScaleIO appliances. 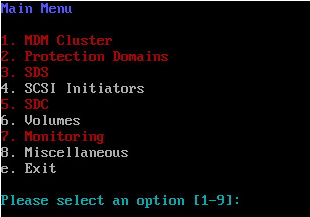 VMware environment, on a different ScaleIOVM. Note: When configuring ScaleIO with a single MDM, only a Primary MDM is configured. 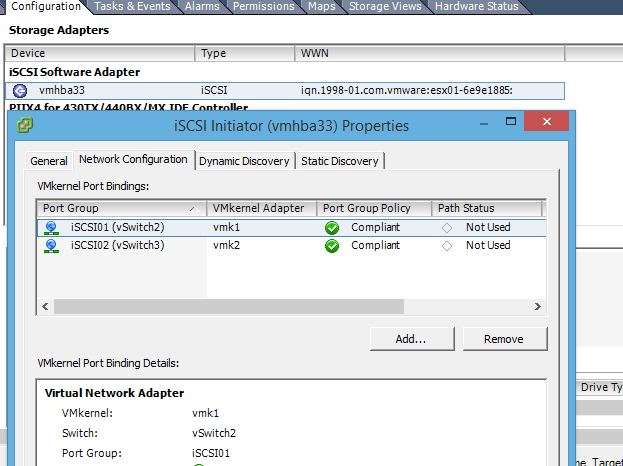 This is the Network Interface Card that will be used for the virtual IP address. you need to repeat this on the secondary MDM and the “TIE” MDM.